Chutney Sandwiches | My Cooking Diaries "CooklikeCecilia.com"
Grind the coriander leaves, mint leaves, green chillies, garlic with the lemon juice, salt and sugar. If water is required add very little at a time. Fom into a fine paste. Remove to a bowl. 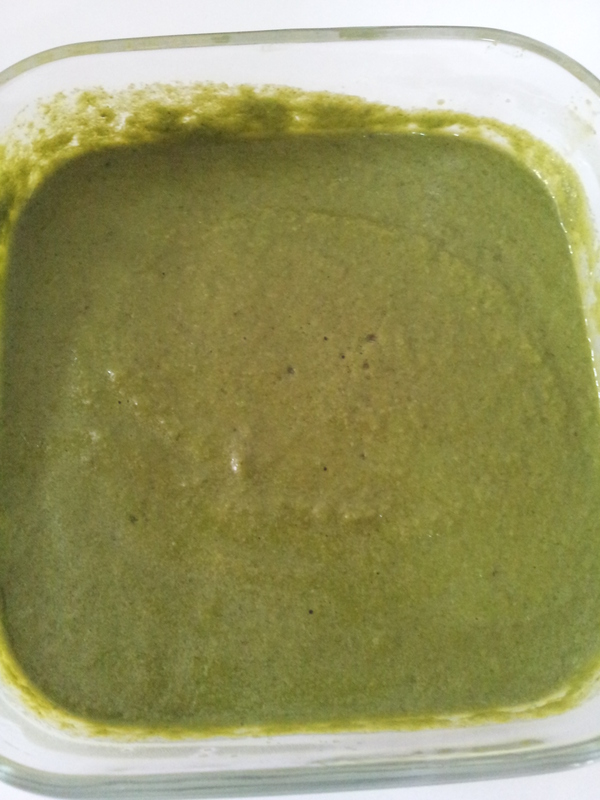 This chutney can be kept in the fridge for upto a week. Butter the bread slices and apply the green chutney. (My mother used to also mix some butter into the chutney). Cut off the sides of the bread, cut into triangle shape and serve. 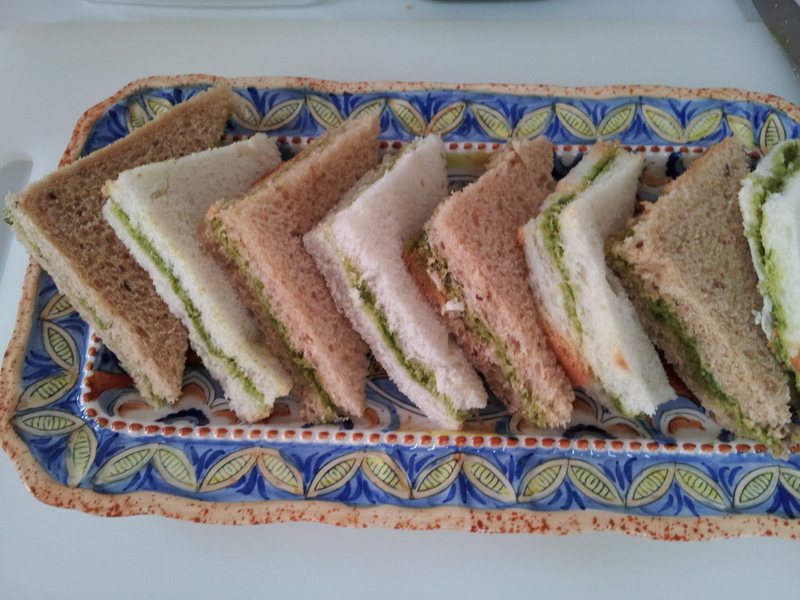 You can also make three or more layered sandwich as shown.